This article shows how to add a logo to the header in School Loop. 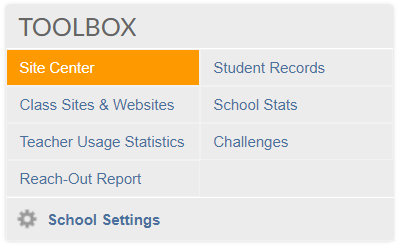 In the Toolbox section, click Site Center. In the left corner of the page, click Edit Header and Footer. Click to select the image module to the left of the site name. Drag and drop your logo onto the selected image module. If the steps were carried out correctly, the added logo will be shown to the left of the site name. Note: Check out our image size recommendations.